← Are We in Love with Sin? I was a young Team Vicar, helping run a suite of community projects out of an ecumenical charity we’d set up in the parish. We were spending a day reviewing what was going on in our work, and had invited the senior chaplain of the Industrial Mission team to work with us. In preparation for worship, he asked us to each write on a piece of paper one thing we were worried or concerned about in our work together, and then two things that we wanted to give thanks for. Part of the point was the 2:1 ratio. Most of the good stuff was things we normally spent very little time talking about; the tricky things were the familiar dominant items of our agendas. It was invigorating and refreshing to be made to spend twice as long on the positive than the negative. With the clergy post-Easter break done, and April half way through, the next couple of weeks are peak season for C of E parishes holding their Annual Meetings. They may not be the hot ticket item on many people’s list, but they provide a rare opportunity in church life. They are one occasion when lay and ordained leaders can lift their attention from firefighting the latest problem, or grappling with the most intractable issues, and spend at least two thirds of their time reflecting on what has gone well. Parish by parish, across the land, church members will be hearing or reading reports on groups who have met faithfully, projects that have made solid progress, people who have grown in faith, engagements that meet the deepest needs in the local community, charities near and far that have been supported. In some places it will be the only meeting in the Church year that gives more time to what has gone well than what has gone badly. When I first sat down to think what I might write this week, I ran through the usual tricky issues where I could add a thought or word: would it be sexuality or sexism, safeguarding, antisemitism or Syria that got the benefit of my musings? However, remembering the wisdom of my IM colleague all those years ago, and with an eye to the APCM season, here’s a few people and things I want to give thanks for, instead. For Jean, whose passion for Street Angels lights up Oldham Town Centre at the weekend. For Ellie, in her inner city parish, who brings her huge skills and massive commitment to our Winter Night Shelters. For Gareth and his team, leading our fast growing Salford Resourcing Church as it begins to spawn vocations. For Manchester L’arche Community and their amazing café at St Paul’s,Withington. For Susie, who turns tetchy teenagers into young Christian leaders across the diocese. For Ben, who has grown a church from zero on a tough Bolton housing estate. 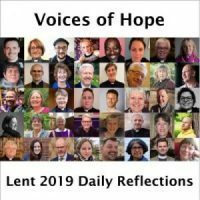 And behind them, all the others who are working with diligence and imagination to be the people of God in their parishes, chaplaincies and communities. And behind all of us, the God whom we meet in worship, sacrament and one another, and whose grace takes us far beyond our mortal capabilities. So, here’s a challenge. If your church has an Annual Meeting coming up this month, do go along to it. Pick up something from the reports laid before you, and find some way of asking a question or making a comment that affirms the work being done and praises those involved. There will always be another time to worry away at the latest tough problem. For now, be grateful that you are part of a church that sometimes gets some things seriously right. This entry was posted in Bishop of Manchester. Bookmark the permalink. 2 Responses to Challenging APCMs? “Church members will be hearing or reading reports…” Come on, David, let’s stop using the ‘m’ word in relation to the Church of England. We are not a membership organisation, and that is our unique gift to the society we serve. There are enough people out there who want to make the C of E an exclusive silo already, and too many ‘big fish’ in local parishes wanting to draw lines that divide the committed and the marginal, without a bishop who advocates a generous and intelligent eeclesiology colluding with it.